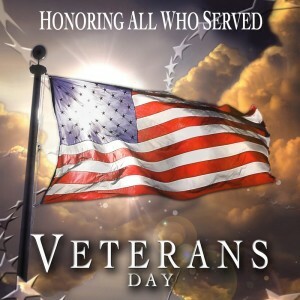 Happy Veterans Day to all of our military friends and family. Thank you for your service in both peace and conflict. It’s because of the sacrifice of the few that the many can live their day-to-day lives that we’ve come to know and cherish. Over the last 7+ years that Matt’s Basement Workshop has been producing content I’ve had the joy of hearing from, and in some cases meeting in person, some of the men and women who served this great country of ours. I’ve received emails and in one or two cases hand-written letters thanking me (and my fellow podcasters) for providing a taste of home during their time away from it. I’ll always cherish their correspondences and remember these individuals long after I retire. On today’s Veterans Day please take a moment to thank our military men and women for all they do, all they’ve done and all they will do. Thank you again for your service! « Congrats to our book winner!